Denbighshire County Council has become the first local authority in the UK to use the latest herbicide-free weed killing technology. 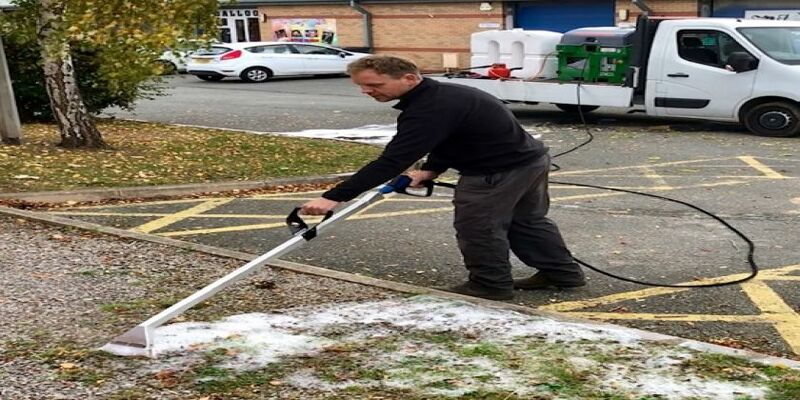 The Council’s Countryside Services has taken delivery of the new Foamstream M600 which uses heat and an organic foam made from olive oil, to kill plants. The foam is non-toxic and will enable the Council to reduce the amount of herbicides it uses to control unwanted growth of plants and non-native invasive weeds including in sensitive areas such as Sites of Special Scientific Interest, Special Areas of Conservation and county wildlife sites. Cllr Tony Thomas, lead member for the Environment, said: “Protecting the environment is something the Council takes very seriously and is a priority for us under our Corporate Plan. “The use of herbicides is a concern for many residents, and we are investing in new, state-of-the-art technologies to manage our environment in a more eco-friendly way. “This is the first step towards eliminating the use of herbicides and we will also be running a trial to see how effective this is at controlling weed growth on pavements and roads, as an alternative using herbicides in more urban settings. Herbicides have been linked to negative impacts on the environment with a number of recent studies identifying glyphosate, the most commonly used herbicide, as a cause of death and decline among honey bees. As the foam is completely organic and nontoxic, it can be used near to water and this will also reduce the impact on freshwater ecosystems and the species they contain, which are some of the most vulnerable to the effects of herbicides. Earlier this year Denbighshire County Council was awarded Bee Friendly status from the Welsh Government, a scheme which aims to make Wales a pollinator-friendly country. Denbighshire County Council is the first organisation in the UK take delivery of the Foamstream M600 and is only the second local authority in Wales to use Foamstream devices.